The increasing F&B industry has also given birth to many segments, including the theme-based restaurants. The current F&B industry in India is holding a huge marketplace providing numerous business opportunities to the aspiring entrepreneurs. India, in specific, has witnessed tremendous growth in the F&B industry that has allowed many national and international players to offer their services in this business eco-system. The increasing F&B industry has also given birth to many segments, including the theme-based restaurants. With the consumers’ expectations constantly revamping, the theme-based restaurants are marking great success in the region, allowing other investors to invest in this segment. In a tete-a-tete with Franchise India, Team Drunken Detective talks about the rise of theme-based restaurants in India. The past couple of years saw many restaurant owners coming up with an idea of starting theme-based restaurants. Since the modern-day consumers are looking for a different experience while enjoying mouth watery cuisines, theme-based restaurants have proved to be successful in the modern day industry. With time, customer’s expectations are constantly transforming. This has emerged as one big driving factor that has resulted in the booming of theme-based restaurants in India. The new age population is ready to spend more for a unique experience that they could take back home. “Theme based restaurants use attractive interiors combined with unique serving methods. 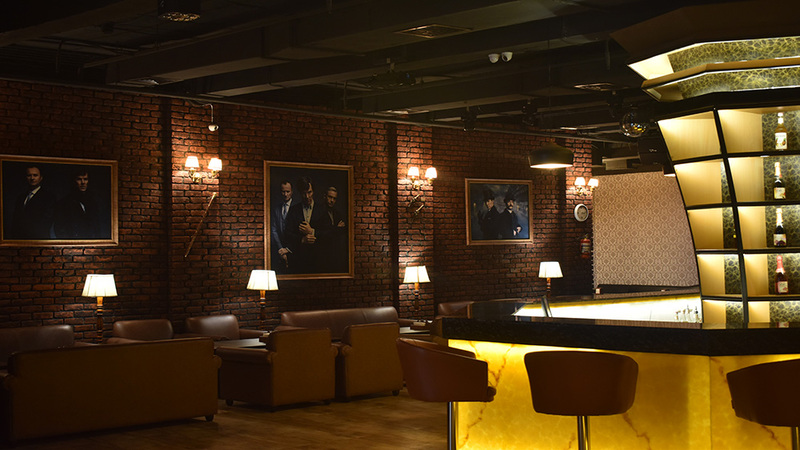 Such restaurants predominantly revolve around one subject which helps engaging customers and helps outlets in establishing a better sense of acceptance and brand building,” adds Team Drunken Detective. In order to make big and sustain in this crowded F&B industry, research, and marketing strategy play a major role in deciding the fate of a venture. It won’t be wrong to say that research and marketing are two basic pillars that are required before establishing and running a successful business. “Marketing strategy is essential both for brand awareness and brand building, and it needs to remain centric to the exact target audience. The timing of the marketing steps is equally important and one needs to remain away from too less or too much of marketing,” added Team Drunken Detective.